Minhang District, Shanghai - China, P.R. 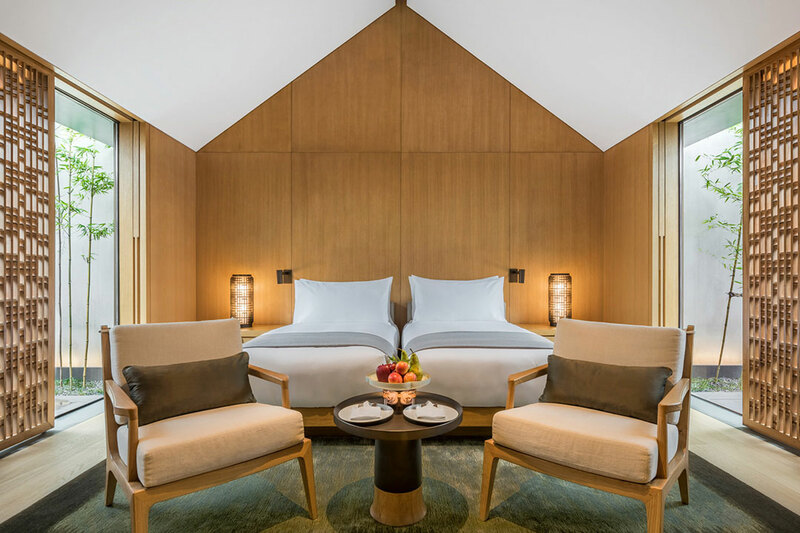 Just outside downtown Shanghai, a cherished camphor forest sets the scene for Aman's fourth destination in China: Amanyangyun. 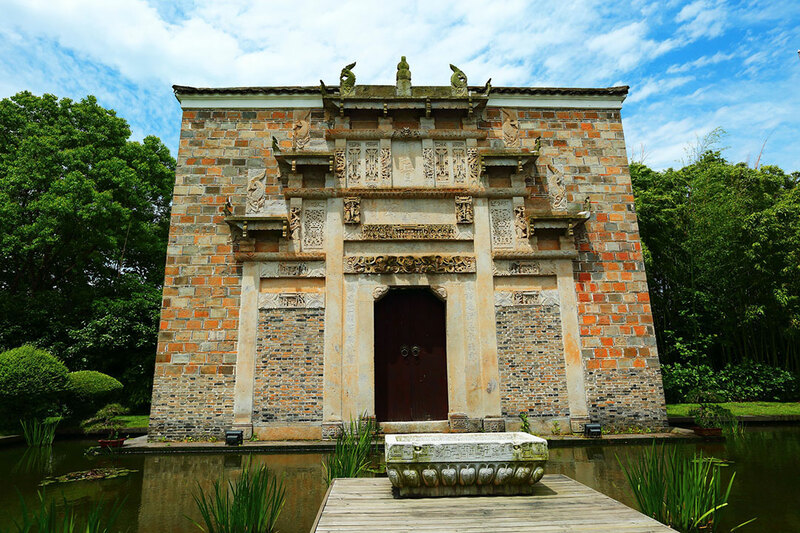 Meaning 'nourishing cloud', yangyun is a reference to expanding the‘cloud’of the mind with knowledge – a philosophy borne by the story of the trees and dwellings at Amanyangyun's heart. 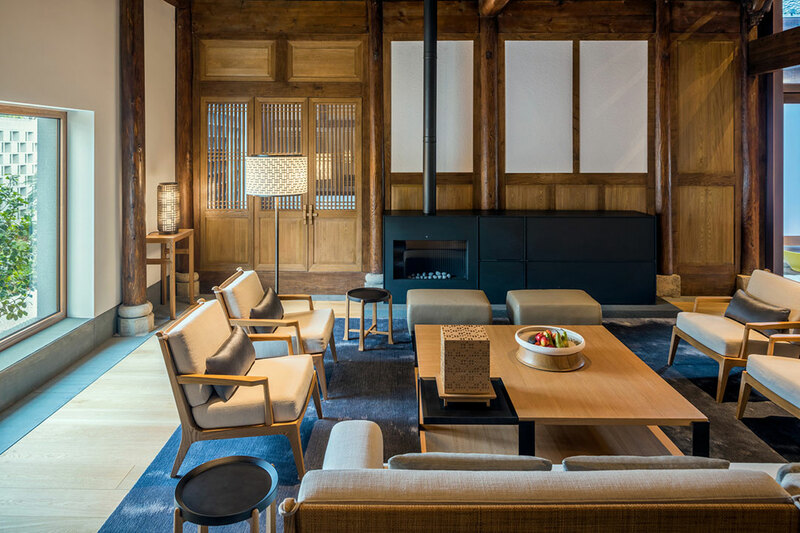 This introspective retreat belies a remarkable tale of a forest transported, and a history preserved. 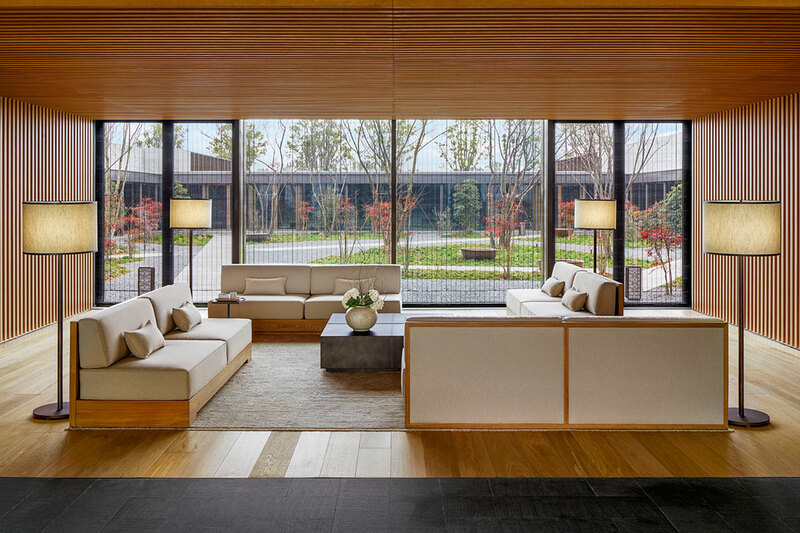 Light-filled and embracing woodland views, Amanyangyun's Suites combine expansive living areas with tranquil courtyards, creating an inviting retreat throughout the seasons. 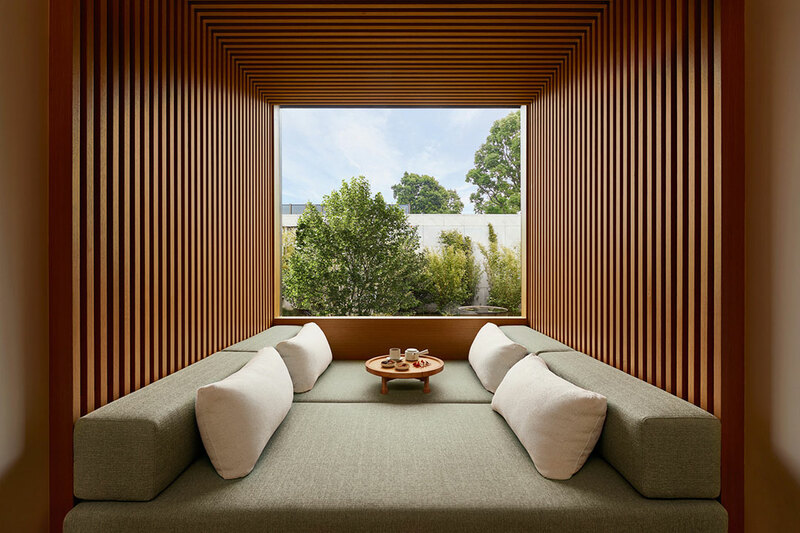 Amanyangyun offers 24 contemporary Ming Courtyard Suites with two private courtyards and outdoor bath each. 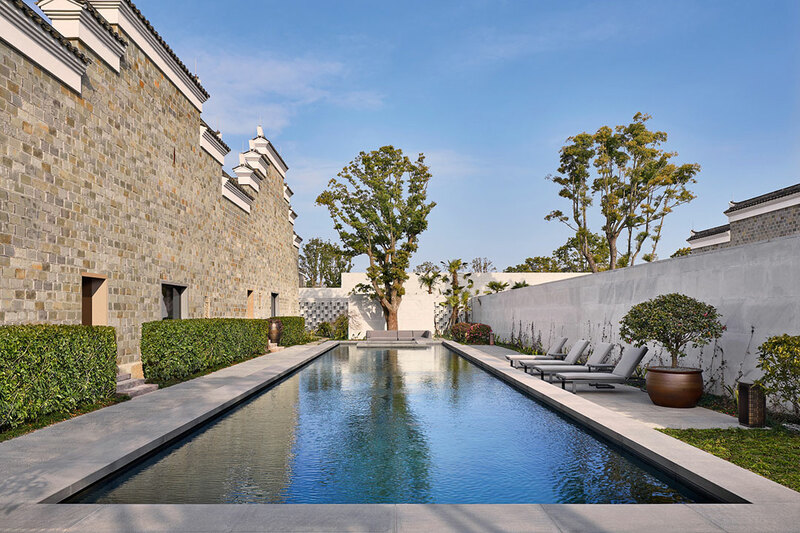 In addition, there are 14 Ming and Antique one- and two-bedroom Pavilions, as well as 9 four- and five-bedroom Antique Villas with private swimming pool and heated Jacuzzi for ultimate comfort. 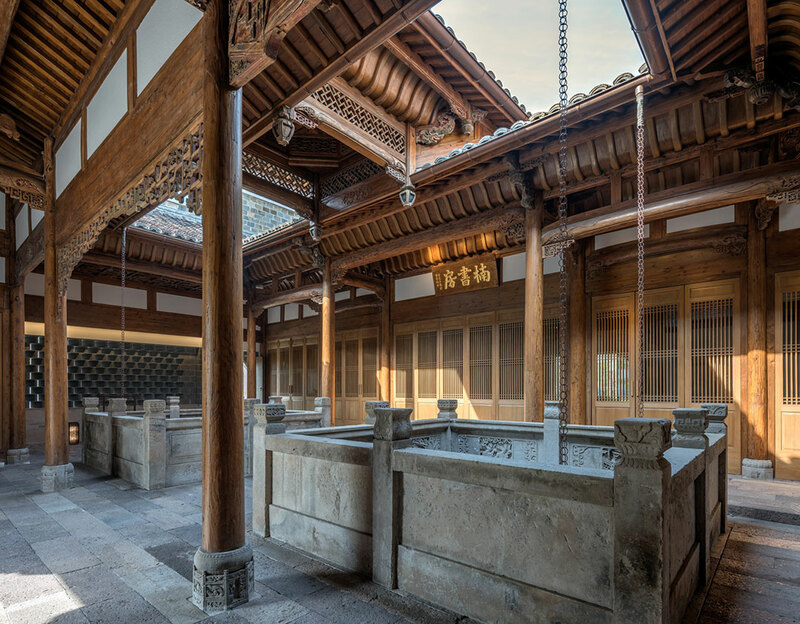 Rates per suite/pavilion/villa per night, based on single/double occupancy of each bedroom, inclusive daily breakfast, top up of the mini bar with non-alcoholic beverages once a day, a Nanshufang activity for two during the stay as per the cultural centre schedule, and 15% tax and service charges. 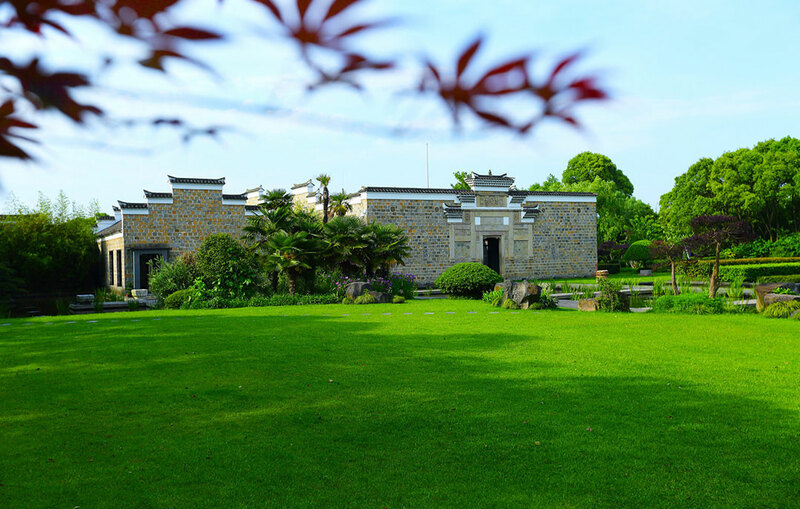 In addition, for villa accommodation, the rates include 24-hour butler service, DDD and local calls and Laundry and valet presing service. 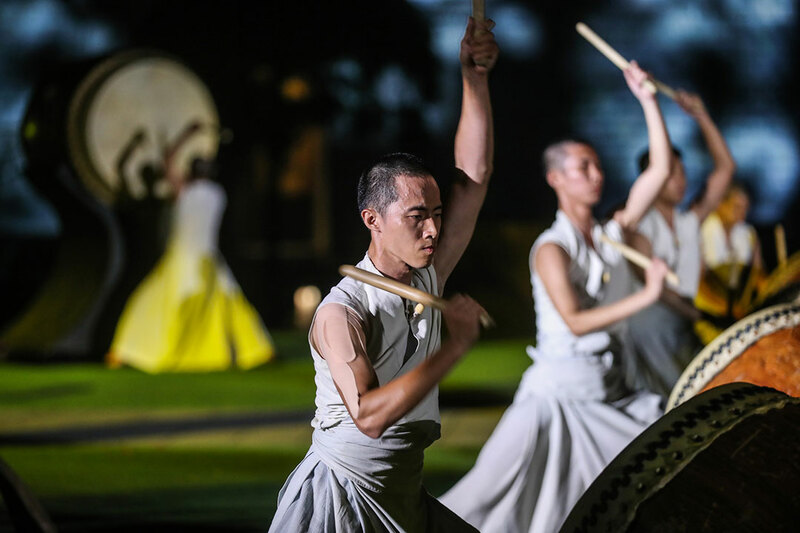 Culture and Spiritual China Package 2018 - Package for a minimum of 3 nights, combining a stay of minimum 1 nights at Amanfayun in Hangzhou and minimum of 2 nights at Amanyangyun in Shanghai. 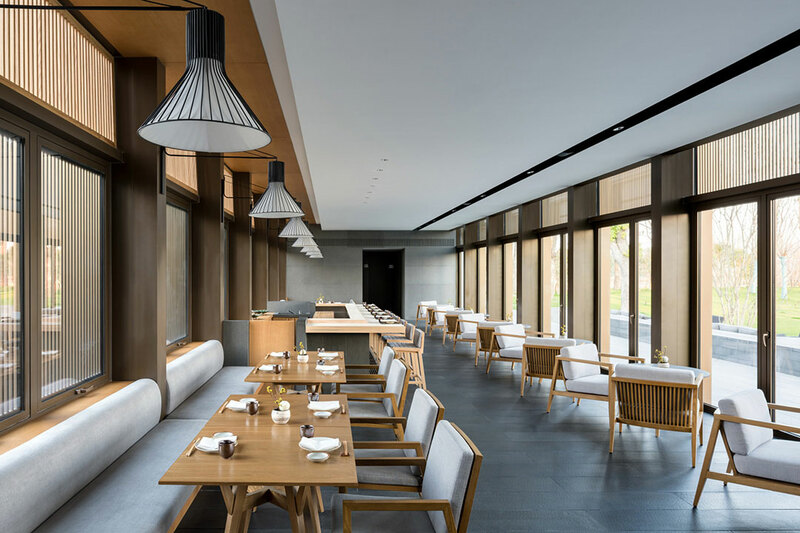 Five dining venues, from fine dining to relaxed alfresco meals, including the Chinese Restaurant LAZHU, Italian Restaurant ARVA, Japanese Restaurant NAMA, The Bar and Cigar Lounge – each enjoy a distinctive ambience. 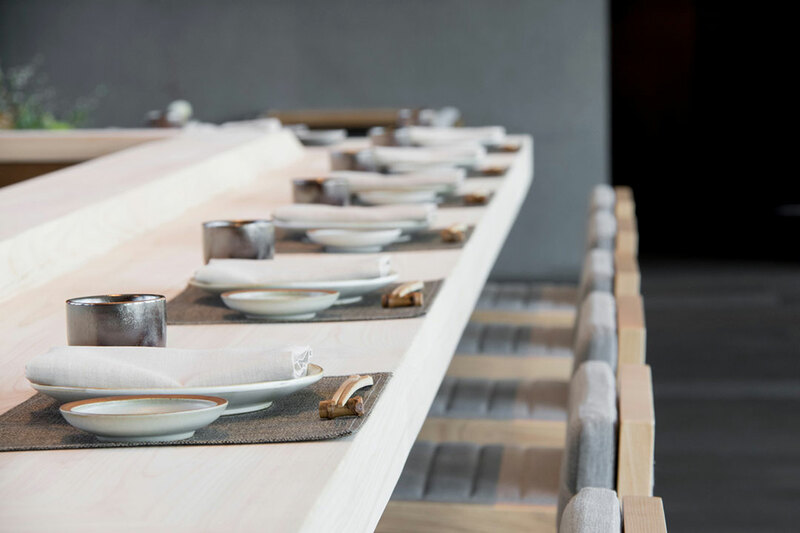 24-hour room service & in-villa dining. 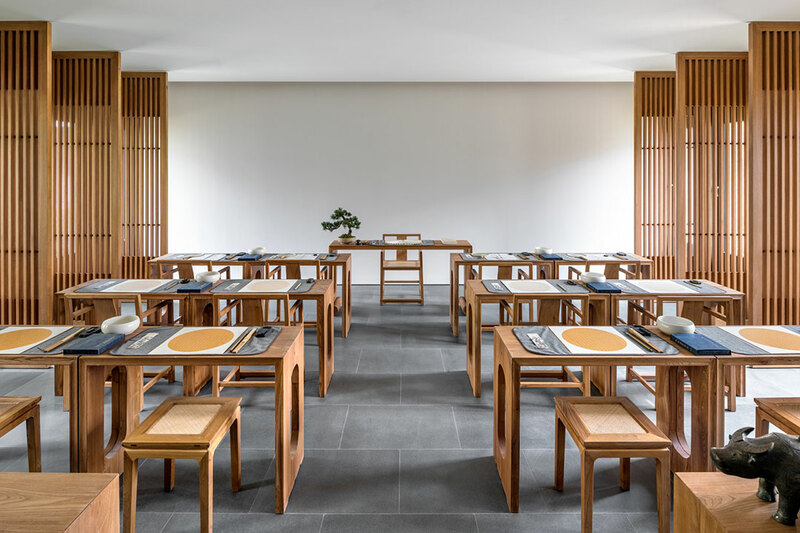 The ethos and atmosphere of the Aman Spa draw inspiration from the resort's name, 'Yang Yun', part of a 300-year-old inscription within Beijing's Forbidden City meaning 'nourishing cloud'. While celebrating the past, the spa also offers the finest modern, diagnostic and treatments tools. 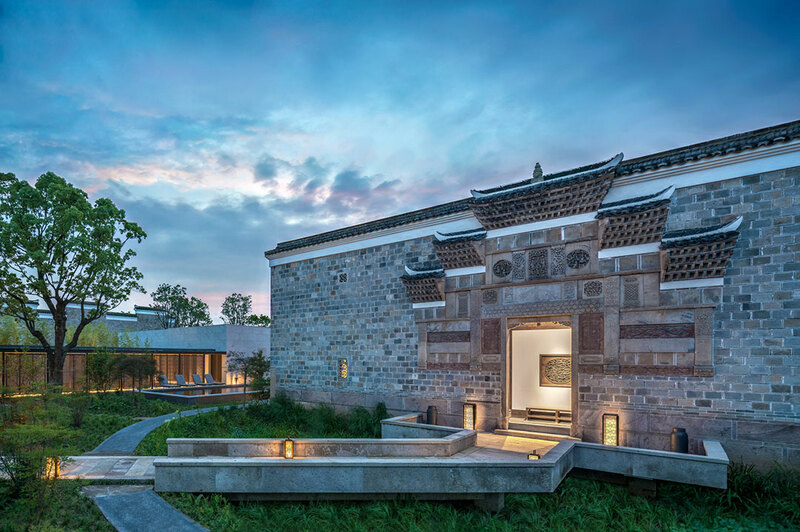 The treatments, journeys and rituals on offer draw inspiration from the origins of the resort, its proximity to Shanghai, and the traditional healing practices of China. 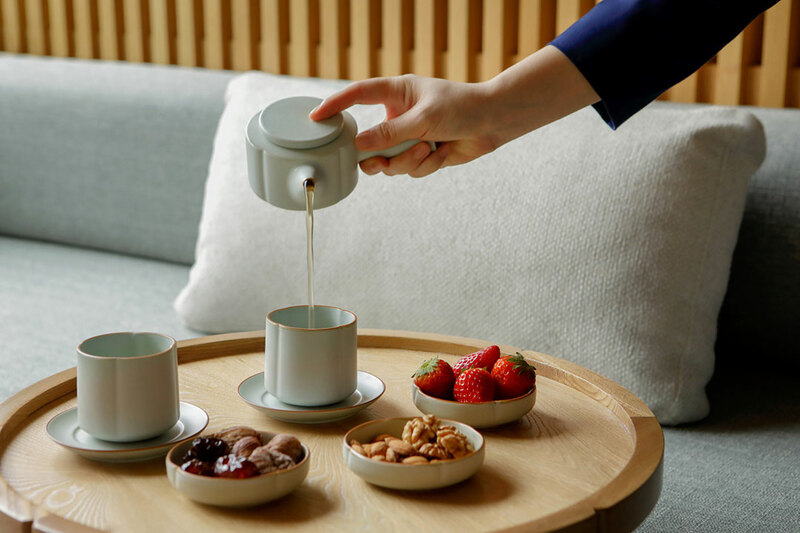 Whether guests seek a shift in some aspect of their wellbeing or just wish for time out, Amanyangyun's team of expert therapists anticipate and respond to individual needs with personalised treatment programmes and expert nutrition and fitness advice.